You've crafted the perfect message, designed to get people to take notice and take action, safeguarding lives and protecting the environment. Only, that's not what happens. Why? Risk communicators and risk managers have been asking that question since the first cave dwellers painted predators on stone to warn their families of danger. Learned professors discuss behavioral economics and posit that the availability of information on risks and the focus on outcomes leads to fear. Psychologists share Maslow's Hierarchy of Needs and tie it to basic desires. All those views are valid and can help explain why people perceive risks the way they do. But risk perception research has identified a number of factors that make some risks more inherently concerning and others not. + Level of Personal Control. Turns out if I control my exposure to the hazard, I am less likely to be concerned about it than if someone else controls my exposure. Many of the risks warned about by Public Health (sun exposure, smoking, wearing a seatbelt) fall into this category and require repeated messages and innovative approaches to gain people's attention. On the other hand, nuclear power and terrorist attacks routinely concern people, in part because they perceive themselves as unable to control them. + Catastrophic Potential. Hazards that can harm large numbers of people, however infrequently, are generally perceived as more dangerous than hazards that harm smaller numbers of people, even if the total harmed is still higher. Flying in an airplane is more frightening to many people than riding in a car, even though the number of people killed in car accidents far exceeds those killed in airplane crashes in a given year. + Amount of Media Attention. In this day of instant news, what might once have been seen as a minor risk or went unrecognized suddenly bursts into prominence. A virus that is localized to a particular region and only affects a small portion of the population will be heralded as the next epidemic. A concern about local drinking water becomes a national concern. And woe betide you if the media declines to cover the hazard you are charged with communicating. You will have to work even harder to get any attention from those at risk. Then too, the outrage factors tend to compile, one upon the other, until what appears be a fairly benign hazard becomes something of great fear, while a potentially deadly hazard goes overlooked. Beyond the outrage factors about the risk itself, other things can affect how those at risk perceive the hazard. + All about the attitude. If your organization is viewed as patronizing or your message is difficult to decipher, your audience may have an attitude problem, with you. On the other hand, if the audience wonders why you were anointed to share risk information with them, you might have a credibility problem. + How Does That Work Again? In risk communication, it is critical to make the process and the information clear. If people cannot understand their role in the process or when they may have access to additional information, their feeling of disempowerment may make communicating challenging. + You Want Me to Do What? The degree to which a person must change his or her lifestyle also influences the ability to take action on risk information. Humans are naturally resistant to change, but economic concerns, family traditions, and personal preferences can exacerbate that tendency and stop people from taking action that would make their lives healthier and safer. 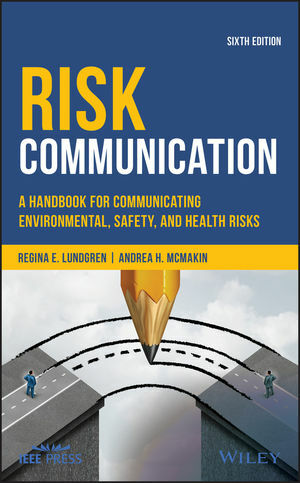 With all those challenges affecting the perception of risk, what's a communicator to do? Start by knowing your audience. Understanding lifestyle, traditions, and economics as well as local concerns can go a long ways toward helping you overcome risk perceptions that hinder behaviors which promote health, safety, and environmental responsibility. Need help with audience analysis or crafting risk messages?